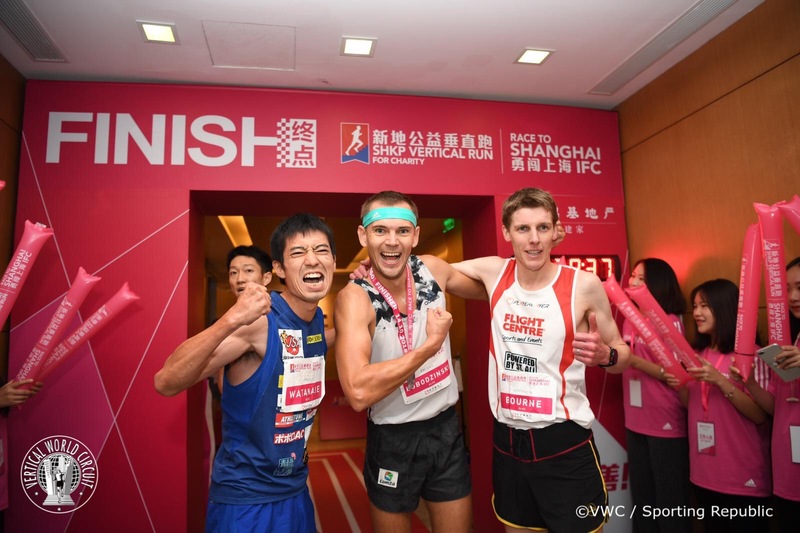 Poland’s Piotr Lobodzinski finally took the win from Australian Mark Bourne, three-time winner and record holder of the SHKP Vertical Run for Charity – Race to Shanghai IFC, Sunday, October 14 on the sixth leg of the Vertical World Circuit. A field of 1,700 participants from 25 countries raced up the 1,460 steps of the building. Lobodzinski reached the summit first in 7’43”. He beat Bourne but did not fulfil his forecast to set a new record, closing just one second off Bourne’s 2016 time. 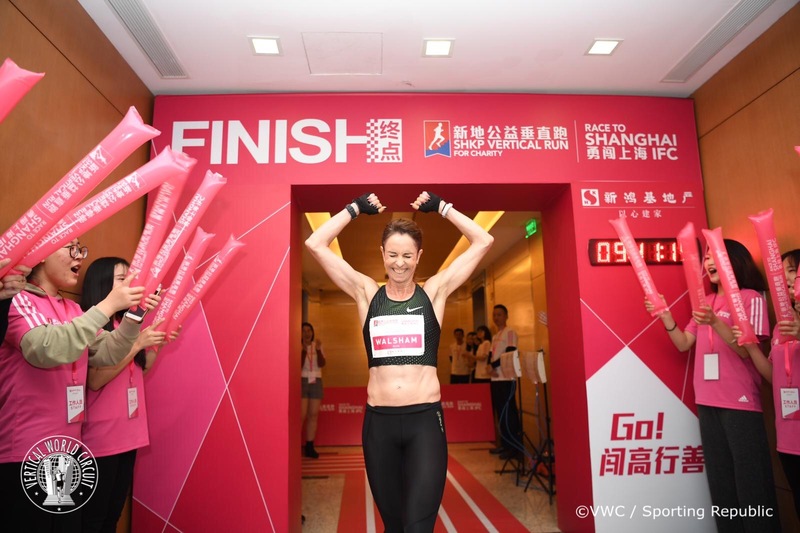 “I was really focussed before today’s Shanghai IFC race,” said Lobodzinski. “I needed points for the VWC ranking and to stop Mark from winning the race for the third time in a row. I started first and finally was first on the finish line! Bourne had to settle for second with a time of 7’59” and Japan’s Ryoji Watanabe, placed third in 8’10”. With three events to go to the Grand Finale in Hong Kong, the ranking is now taking shape. Lobodzinski takes over the lead from Belgian Omar Bekkali. Walsham retains her top slot while Italian Cristina Bonacina moves to second and Australian Alice McNamara, third. 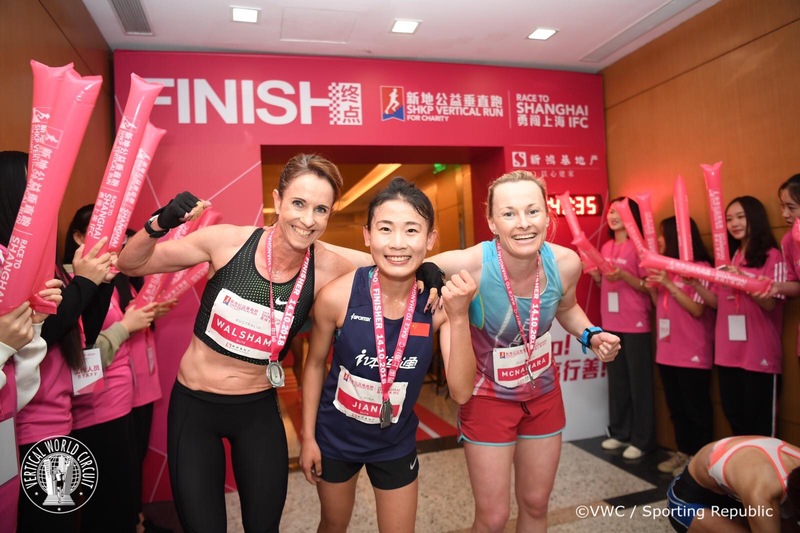 For the fifth time the Shanghai race has featured on the Vertical World Circuit after the resounding success of the “sister” event in Hong Kong, the circuit’s Grand Finale on December 2. 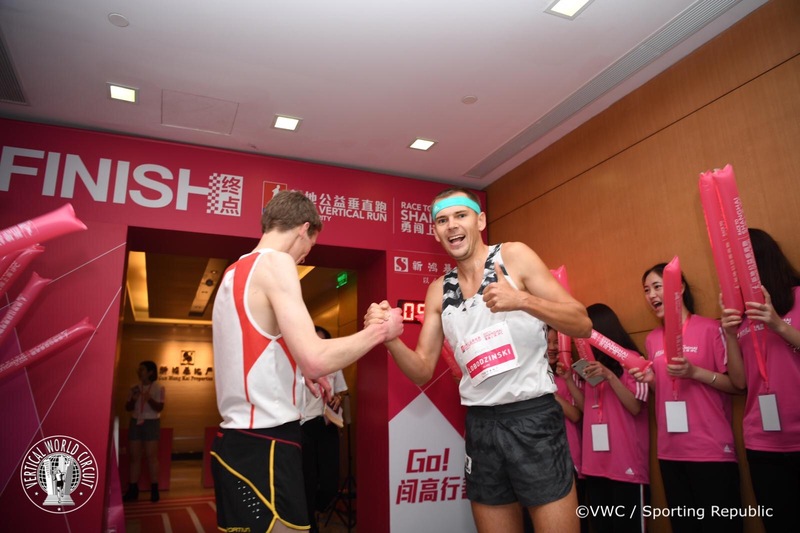 Governed by the International Skyrunning Federation, the world’s premier skyscraper racing circuit unites some of the most iconic skyscraper races – including these two flagship events.